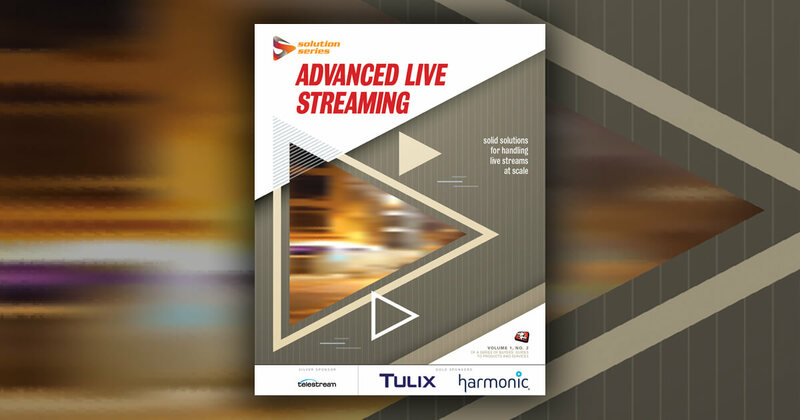 Learn more about ad insertion for live events at Streaming Media's next event. Watch the complete video of this presentation from Streaming Media West, LS202: Reaching the Audience--Advances and Challenges in Captioning Live Streams, in the Streaming Media Conference Video Portal. John Capobianco: What should you look for in a caption vendor? Both live and on-demand solutions, because you want one group that can handle whatever your needs are. You want trained, certified, and employee captioners. I make that distinction, because we have hundreds and hundreds of employee captioners. Why is that important? Security. They're using our equipment through our networks, access to our files, all secured, so you don't have to worry about your information getting disclosed to people you don't want it disclosed to, or disclosed early. You can imagine a lot of the TV shows and things we do, they don't want their punch lines gone before anything happens. Well, we provide that kind of security, and we provide it to everybody. We do that because we have certified employee captioners. We're not shooting it off to anybody who might bid on it and go ahead and do the captioning. We have a full on Air Support Department, so a Scheduling Department, Client Support and Services, and Technical Services, so that they can assist people in getting things done. We have all the technical know-how. We've been doing this for 31 years. We do it for all the major corporations, for all the major broadcasters. We know how to get captioning done and how to get it back to you. We have experts that deal with it every day. We have a whole Production Control and QC Department that reviews everything and makes sure it's adequate before we send it back out to the clients. We also do full quality analysis and review internally. We judge our captioners. We pay our captioners based on meeting the minimum standard of 98% accurate for real-time captioning. That's what we do every day, and we test them every day. I know I write up reports every day because somebody got something wrong. You'd think in doing an hour's worth of captioning for every minute of every day, even at 98% accuracy things happen. Things are wrong, and I get to review them every day. It's not fun, but it is something that we take very seriously. We judge every captioner. We pay them based upon their rankings and their ratings, so that they get judged every quarter. It's important that we do that, because our job is to be accurate and give you a high-quality product. Our job is not just captioning. It's a service business. It's supplying you with a high-quality service, not just random captions. And of course we're available 24/7/365, because you can't do $550,000 worth of captioning in less than 24 hours a day, seven days a week. It's just not possible to do that. It's about time we practiced what we preach. Captions make videos more accessible in a variety of ways. Here's the workflow we use to caption all the videos on our sites. VITAC CMO John Capobianco offers a primer in captioning for live streaming in this clip from his Live Streaming Summit presentation at Streaming Media West 2018. Video: How Reliable Is ASR-Generated Live Captioning? Not very, says VITAC Chief Marketing Officer John Capobianco in this clip from his Live Streaming Summit presentation at Streaming Media West. The editing capabilities found in YouTube's backend aren't going to compete with nonlinear editors like Adobe Premiere Pro, but there are some powerful and unique tools that make simple editing projects even simpler. New captioning requirements went into effect on July 1 for live, near-live, and prerecorded broadcast video that is put online.